Searching for a better deal? The stress-free easy guide to buying your first home. Which home loan is right for me? There are so many different loan products on the market, finding a home loan is not simple as each individual’s financial situation is unique. 3 Sisters will help you find a range of suitable options that may save you money, provide you with greater flexibility and peace of mind. To simply the loan selection process 3 Sisters have a powerful customised software program that makes it possible to compare a wide range of loan options, narrow down the options and then provide you with a short list of loans that are both competitive and suited to your needs. If you’re not able to save up a deposit or wish to avoid paying Lender’s Mortgage Insurance (LMI), a family guarantor loan is a way for your parents or family to help you purchase a home or investment property without them actually providing the cash for a deposit. Your parents or close family member becomes the guarantor. A guarantor is someone who provides a guarantee on your mortgage by using their property as security. In most cases, this will be your parents or immediate family members using their home. 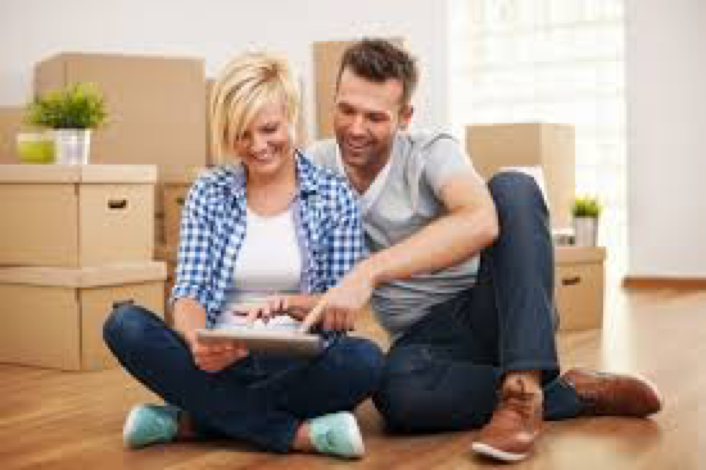 They also assume responsibility of paying off the loan, if you’re no longer able to meet their financial commitment, that is, the guarantor takes financial responsibility for servicing the home loan in the event that you default on your repayments. This lowers your risk as a borrower, which allows your bank to lend you as much as 100% to 105% of the purchase price of a property. Once you have paid off part of your loan and/or your property has increased in value then you can apply to remove the guarantor. 3 Sisters Finance Pty Limited is able to help you through the process of decision easier. We have a powerful customised software program that makes it possible to compare a wide range of loan options that is competitive and suited to your needs. The First Home Owner Grant (FHOG) Scheme was introduced by the Federal Government in 2000 to assist first home buyers with the costs of purchasing their first home. The scheme was initially set up to reduce the impact of the implementation of goods and services tax (GST) for first home buyers. The FHOG is a national scheme which is administered by each State and Territory. As such, there may be different incentives offered in each area such as exemptions or reductions in stamp duty and other concessions. Under the scheme a one off grant is payable to first home owners who build or purchase a new home that has never been occupied. We can help you to access the First Home Benefits you may be entitled to and can discuss your eligibility to these funds, so please call us on 0420354418 to have a chat. The amount you can borrow will be based on your current income, current financial obligations like expenses, rent, utility, car loans and how much you have saved. The amount will vary from lender to lender. How much can I afford to spend on a property? This will require you to budget and be realistic about your monthly household expenditure. Owning a home requires planning and working out what your potential mortgage is, against current rental repayments. You should consider having aside a buffer for incidental charges, stamp duty, legal fees, mortgage insurance, water rates, house and content insurance, repair work. 3 Sisters Finance can calculate much you can borrow and the loan repayments. More importantly, you need to know if you can afford the repayments. How Much Do I Need To Save For A Deposit? Generally you will require a minimum of 5% of the property value. Also if you do not meet the eligibility requirements for the First Home Owner Grant (FHOG) you will also need additional funds for stamp duty costs. Am I Eligible For The First Home Owners Grant? This one-off grant is available to First Home Buyers intending to live in the home they are buying. Basically, you are eligible if you are an Australian citizen or a permanent resident who is buying or building your first home in Australia and intend to occupy it for at least 6 months as your principal place of residence within 12 months from completing or settlement of the building. If you are purchasing the property in conjunction with others, they must also meet the same criteria for the grant to be available. How Much Do I Need To Set Aside For Stamp Duty? Stamp duty is a tax levied by all Australian states or territories and states on property purchases. The stamp duty a buyer pays is based on the property purchase price, location and loan purpose. Some states charge different rates on investment properties than on places of residence. What Other Expenses Will I Need To Pay Besides Deposit & Stamp Duty Cost? You can make an appointment with 3 Sisters Finance by emailing or calling us on 0420 354 418. email. There are different financing options and 3 Sisters Finance we can help you get started by obtaining a pre-approval for a home loan so you are on your way to finding your dream home.